French toast. Who doesn't love it? IHOP® has a couple new varieties of French toast on the menu for a limited time that sound scrumptious. The double-dipped version is dipped in vanilla batter and then dipped a second time in crispy corn flakes and oatmeal then griddled and covered with tasty toppings - lemon strawberry or cinnamon sugar. This twist on the breakfast classic is a new addition to the French Toast specials at IHOP, joining the Stuffed French Toast and the Brioche French Toast. Along with two slices of hand-crafted Double-Dipped French Toast, the combo meal also includes eggs, done the way you like them, choice of crispy bacon, pork sausage links or a slice of grilled ham, and IHOP restaurants' signature golden hash browns, or stacked high as an entrée of three slices at participating restaurants. 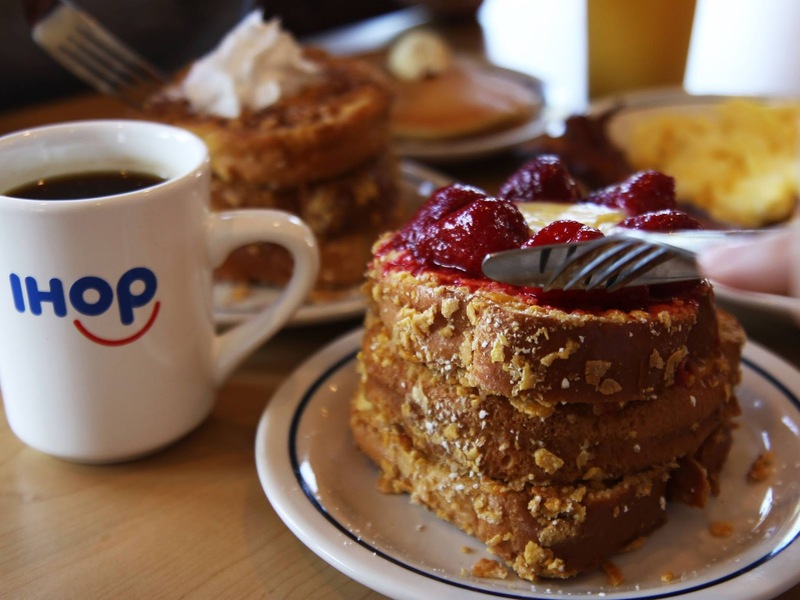 Double Dipped French toast will be available at participating IHOP Restaurants until September 20.